Hold Conversations in Italian in less than 21 Hours! Learn the Italian words and grammar structures that will allow you to speak conversational Italian in less than 21 class hours. How will being able to speak Italian change your life? Want to travel to Italy and talk to locals in their own language? Do you have Italian speaking friends or family and want to speak Italian with them? Want to challenge yourself by learning a foreign language? Always wanted to learn Italian but you don’t know where to start? – Imagine being able to travel to Italy and be able to speak with the locals in their own language. – Imagine how delighted your Italian speaking friends and loved ones would react if you could speak fluent Italian with them. – How cool would it be to read books in Italian and watch Italian movies without subtitles? Have you’ve tried to learn Italian in the past but it didn’t work out? No worries, you are far from alone! Learning a new language from scratch is intimidating. It’s easy to become overwhelmed by new grammar rules and thousands of new words. So, you sign up for a Italian course in your town; you get yourself a study book, or maybe you download an application on your Smartphone that promises you’ll learn Italian effortlessly in a week. And then, after a few months of hard work, you finally meet a native speaker and you want to impress her with your Italian. You studied so hard and now you can’t even hold a simple conversation? You learned all the vocabulary lists by heart and studied all the grammar rules – so what’s holding you back? Wait! There is hope for you! What just happened to you and all those comments you found yourself agreeing with are completely normal. You can fix them – but you need to change a few things in your learning approach. – What you’re probably doing wrong, did wrong when you last tried, or what you’re most likely to do wrong if you haven’t started learning Italian yet. 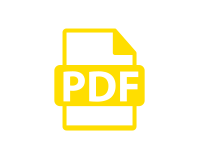 – How you can overcome your frustration and go from zero to a conversational level in Italian a matter of weeks. 2. Having the ability to use what you know, in real conversations. Traditional learning methods often only focus on the first skill. Have you ever tried to learn a language at school or at an institution? We usually learn a lot about the language, but we don’t really learn how to use the words and grammar structures that we have learned in real conversations. It’s ok, there is still hope..
A few years ago I gave myself another chance. Over the years I had developed a new learning approach and a wanted to see if I could finally become conversational in Italian. This time my goal was to do so in only one month. I had forgotten almost everything I learned at highschool ten years earlier, so I needed a solid plan. Instead of just studying Italian from textbooks, I focused on speaking practice. Everytime I learned a new word or grammatical rule I immediately tried to use it in simple conversations with my Italian tutor. Not only do you learn faster if you immediately use what you’ve learned; creating full sentences helps your brain generate output and get accustomed to the new language. The latter is something we unfortunately never practiced enough in school. That’s why we’re often still not able to speak a new language after many years of study … and despite passing our exams. Wait… how can you speak a language if you’ve never learned it? Of course you first need to learn new words before you can starting speaking a language. So before you start talking in that language, you’ll need at least some input. There are language courses on the market that teach you a language with so-called ‘building blocks’. Every time you learn a new word, they have you use the word in a sentence structure you already know. – Not all vocabulary taught in these courses is useful. – Some courses include only audio. The problem with this approach is that the human brain tends to memorize new words more efficiently if a person can hear and see the new word. The more associations with new words and phrases – the easier it is to memorize and incorporate them into speech. – It can be boring to learn by yourself. We wanted to create something better – the ideal course for beginners who want to go from zero to conversational Italian in a matter of weeks. Should teach the minimum amount of words that you can use to make the maximum amount of combinations. The focus should be on the student; our priority is to let the student construct their own sentences! The program should be super user-friendly. … and the program should include real students, to make the course more fun and interactive! We not only hand-picked the most important words that you need as a beginner, we also took into account the number of combinations you can make with them. We don’t force our students to learn words and grammar rules by heart, instead students assimilate the words and grammar naturally through fun and interactive exercises with the teacher. We focus 100% on conversation practice. The lessons are given online. This has allowed us to reach thousands of students from all over the world. After less than 21 lessons our students, who started from zero, were holding conversations entirely in their new language! I have researched and tried at least a dozen different language learning tools, software & approaches. After all that homework, the most important lesson I’ve learned is that it’s not about the ‘stuff’ of the language (yet), it’s about finding a way to speak it as soon as possible. This Boostcamp thing is the only approach that I found that had me speaking, conversing, & understanding what I said on day one. Don’t get me wrong, it didn’t come easy and did take homework and study before each lesson, but they also gave me the right tools to do that with. I would say that this is probably the best way to start learning a foreign language. I know what I mean here because I have a degree in linguistics and education and I have been working with languages professionally for eighteen years. This course gives you an unbelievable feeling of achievement and helps you to create a natural connection with the language. 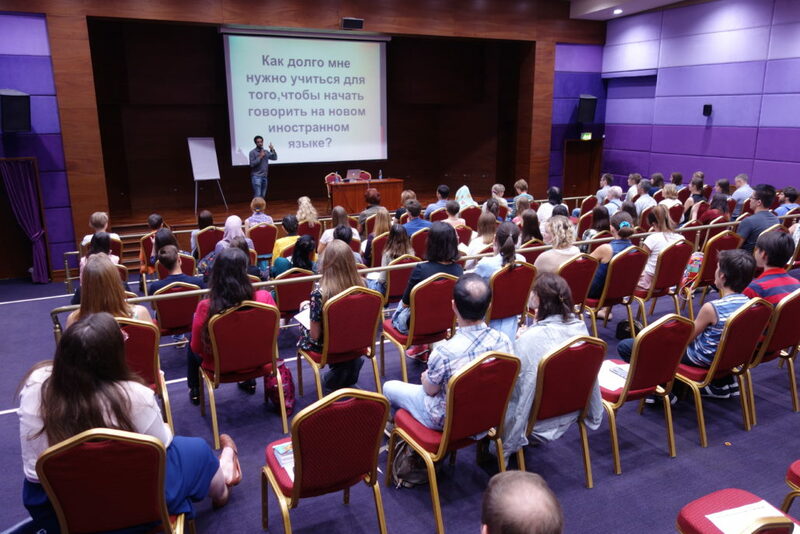 People started talking about our programs and soon we were being invited to give workshops about quick language learning all around Russia. 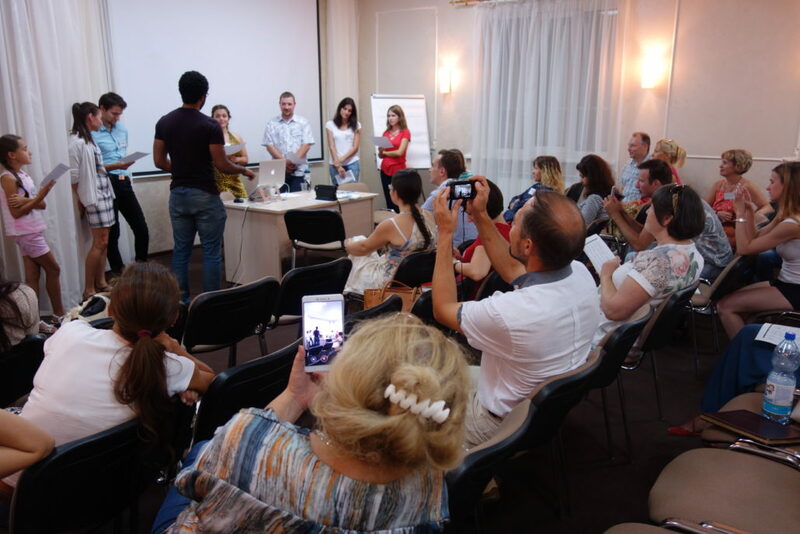 Our workshop ‘speak in 21 hours’ in Kazan, Russia. Participants conversing in a new language after 1 hour in Samara. In one of the workshops there was a small group that was able to interact in Finnish for a few minutes after only 60 minutes of intensive practice using our methodology. That’s pretty impressive as Finnish is considered one of the most difficult languages in the world to learn. Teaching people in person was fun – but we wanted to reach more of you who wanted to learn another language. That’s why we shifted focus to online teaching. – Due to the fact that we have students living in different time zones, it was difficult to find a time that worked for everyone. – Lessons didn’t always go smoothly because of issues with internet connections and students showing up late. Therefore we decided to create a highly effective video course that’s now accessible for everyone who’s serious about learning Italian. 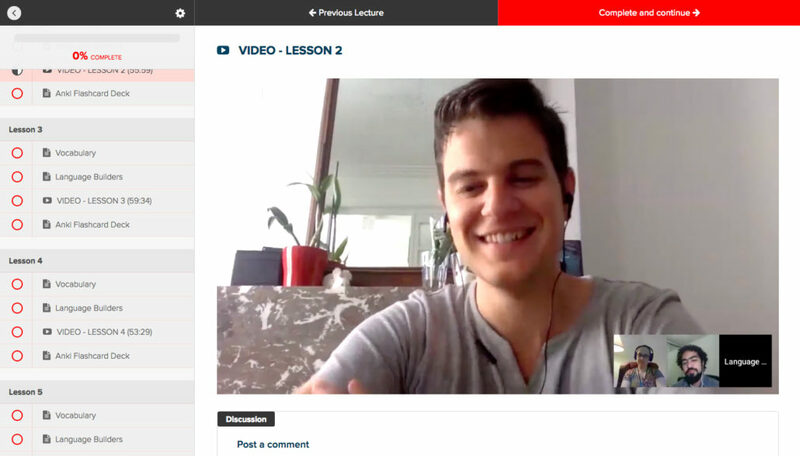 Language Boostcamps are video courses that will allow you to speak Italian right from the start. In 21 lessons you will have mastered holding basic conversations in Italian. The Italian Boostcamp is the result of over two years of hard work. We’ve spent 1000’s of hours teaching, experimenting, testing, and discussing in order to create what we believe is the best Italian course on the market for those who want to learn how to quickly become conversational in Italian. We’ve used the Boostcamp method in workshops all over the word and we’ve witnessed time and time how people from different backgrounds and ages make rapid progress in Italian. The course consists of 21 video lessons. The first lessons are easy to follow as we start with basic vocabulary. After the first few lessons – things get trickier. You will soon be able to make your own sentences and eventually hold conversations. Your instructor, Lucas, will teach you the fundamentals of Italian in an easy to follow step-by-step process that has you speaking the language faster than you ever thought possible. – This course contains 21 videos lessons with over 20 hours of video content! Boostcamp is, without a doubt, one of the most complete Italian courses for beginners on the market. – Along with the video lessons we’ve included PDF’s with the vocabulary and example sentences from the lessons. This makes it easy for you to review what you’ve learned and helps to reinforce your language learning skills. 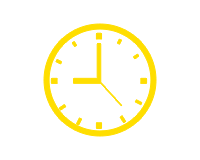 – We’ve included native speaker audio so that you get your pronunciation just right. In our Italian Boostcamp, you’ll feel like you’re sitting in the classroom with your instructor and the other students. Helping you to express yourself in Italian is our number one goal for this program. From the beginning you will be asked to make sentences with the words and grammar that you’ve learned in the current and preceding lessons. This way you’ll soon make the Italian language part of yourself. We’re ready to help you to speak real Italian! While the Italian Boostcamp is a self-study course, you are never alone grappling with learning a new language. Your teacher, fellow students, and the Boostcamp support team are with you every step of the way. As a Boostcamp student, you have our full dedication and support to help you make the most of your journey in becoming an Italian speaker. Every lesson has an interactive discussion area. Just like in a real world classroom, you can ask questions about course content and get answers. You’ll also learn from the questions your fellow students ask. You can download everything including all video lessons, all learning materials, and all MP3 native audio video files. This means you can learn and review all your lessons wherever you are. On any device. With or without internet. How easy is this? Boostcamp was designed for you. To allow you to learn a new language (or languages) in a fun environment that honestly works and makes mastering a new language achievable. We’re here to help resolve any educational or technical problems you might encounter on your learning journey. What’s speaking Italian worth to you? How much would you be willing to pay to be able to hold real conversations in Italian? We did some research on how much it costs to learn Italian at a language school here in Brussels where I live. For beginners they offer private lessons for 53 EUR ($65) per hour. You can also take group lessons at a cost of between 350-500 EUR (US $431-616) for a package somewhat similar to what we are offering. And their prices don’t include the study materials! We’ve not only hand picked the most important vocabulary you need to know as a beginner, we also teach you these new words in order of relevance. With lots of ’real life and usage’ examples in sentences you can use to communicate in Italian. Throughout the full 21 video course, every time you are presented with a new word the logic (thanks to lots of research and analysis) behind our choice is based on selecting words that are most inclusive for your next step. This means you will be able to form a variety of sentences with every word you learn! This pattern of increasing your Italian vocabulary allows you to make a vast number of useful sentences from the beginning! With our unique method, you will be speaking Italian faster than with any other method we’ve tested. 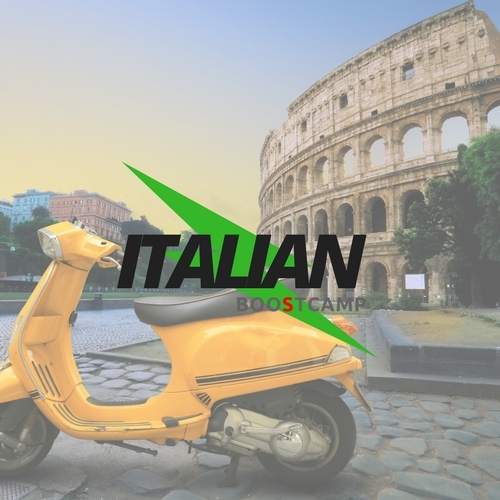 We’re happy to offer you the Italian Boostcamp program for the low price of $147. Included in your package are the complete video course and all related learning materials. After all, with your new found language skills, wouldn’t you rather spend the money you’ve saved traveling where you can speak Italian to everyone? – 21 x 50-min video lessons, more than 20 hours of video content. – A well structured and easy to follow program for those who want to become conversational in Italian! We focus 100% on making you conversant in Italian. – Study materials with audio by native Italian speakers so that you prepare and practice each lesson with the proper accent and intonations. – Fully downloadable material so you can learn faster – anywhere, anytime and on any device. – Free support. We’re happy to answer all your questions related to the content of the course. – Full 30-day money-back guarantee, so you can buy without risk today. Try out the course, and get a full refund if it’s not right for you. Join Boostcamp Italian Today for only $147! After about 14 lessons I installed Speaky and found a couple of language exchange partners. We started exchanging messages and I realized that I could understand about 60% and I could communicate on the basic level. And I felt so inspired that the second half of the course was even easier and more productive! I’m already recommending this boostcamp to everyone I know. It’s such a different way of learning a language than the way you learn languages at school. You get to speak the language right from the beginning instead of learning seprate words that you can’t really use. 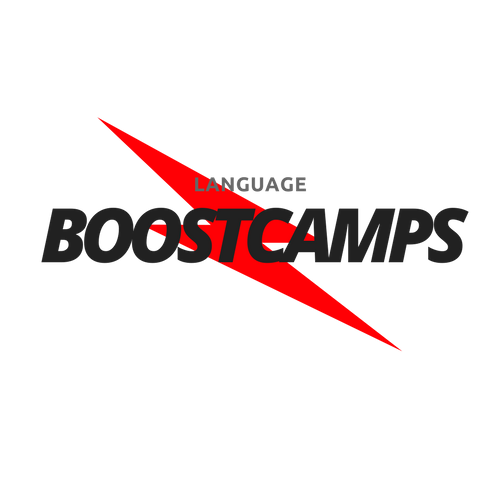 We’re certain that Boostcamp will give you everything you need to get started learning a new language. I’m not a complete beginner. Is this course still relevant for me? Let’s be honest, we only recommend this course for beginners. If you can already hold simple conversations in Italian, this course is probably too easy for you. The course is structured over 21 lessons. Each lesson consists of the video lesson, the learning materials and native audio of the new words and phrases that you learn. The time it will take you to complete the course will depend on the time you have available, and the pace at which you like to study. If you decide to study two lessons per week for example, it will take you 2-3 months to finish the course. Can I study at my own pace? Yes. The course is designed specifically to allow all students to study at their own individual pace. Learn as quickly or slowly as you want; we want you to learn – not run a marathon. Everything is downloadable for practice and future refresher sessions if needed. The materials never expire … and updates are always free. What’s the difference between this course and the VocaBooster Italian? In VocaBooster Italian we focus on teaching you the most important vocabulary. We don’t focus much on grammar and very little on building sentences. For someone who has learned languages successfully in the past, or for someone who already speaks a similar language, this is often enough. The Boostcamp is a complete program that is easy to everyone to follow. It doesn’t matter if you have previous language learning experience or not. Boostcamp is a more complete version of VocaBooster as it also includes video lessons and we spend much more time on constructing sentences and conversation skills. How is this course different from the many other Italian courses out there? Our Boostcamps are unique. This is the only video course that teaches you Italian (or an other language) from scratch with building blocks. We break grammar down into easily digestible building blocks. So instead of teaching you boring grammar rules, we give a verb form and then demonstrate how to plug that verb form into a sentence pattern. Also, this course is proven to work for people from different ages and different backgrounds. That’s why we’ve included real students in the video lessons, not actors! Will I still need an Italian teacher? To become fluent in Italian (or any language) you need to practice speaking the language often. And practice is best achieved through real life and online experiences and/or with native speaking friends, family, or tutors. Boostcamp gives you all the tools, structures, materials, and motivation you need but you will still need to find opportunities to practice speaking Italian.